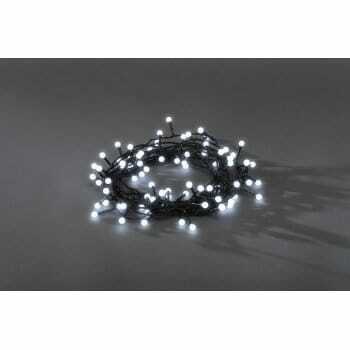 Konstsmide white cherry LED light set with black cable including transformer. The product code for this set of Konstsmide Christmas lights is 3691-207EE. Also available in Blue, Purple, Red and Green.